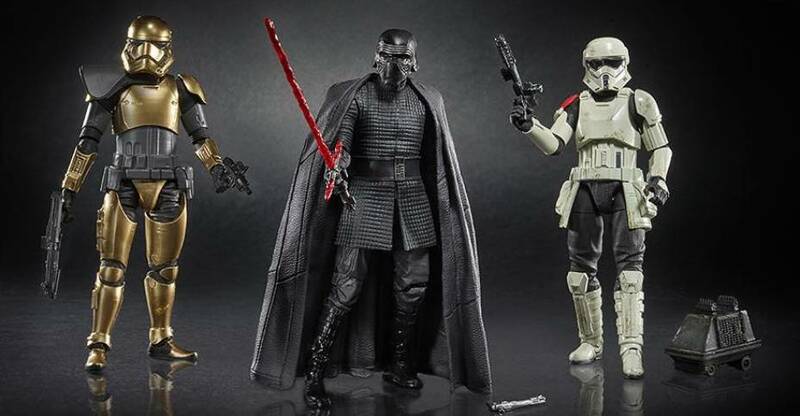 Hasbro have officially revealed several new Star Wars Black Series figures at their Fan Expo Canada panel. Most of the panel was a re-hash of what was shown at SDCC and prior, but a couple new pieces did sneak in. 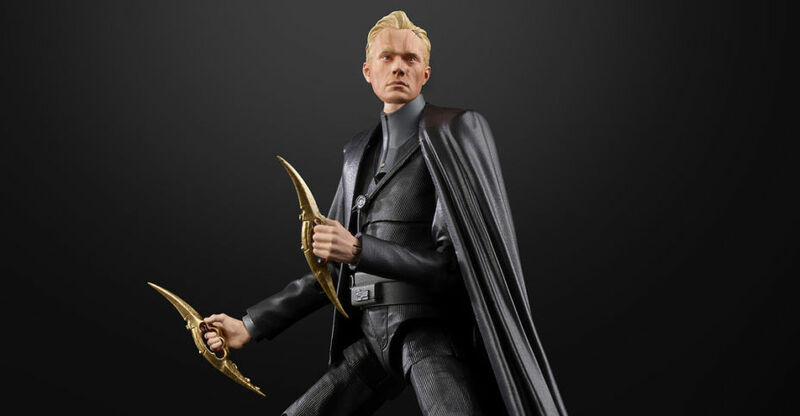 Dryden Vos (bad guy from Solo movie) will be joining the Black Series ranks, and his scars will change depending on the temperature of the room! Also of note, the upcoming Ezra figure will be the first using new neck joint technology, so those unsightly cuts that most of our SWBS6 figs have will be no more. They can now gaze up to the sky without looking like an assassin didn’t finish the job! Read on to check out all the new stuff. Thanks to Star Wars Underworld for shots from the panel. Update – official pics added! 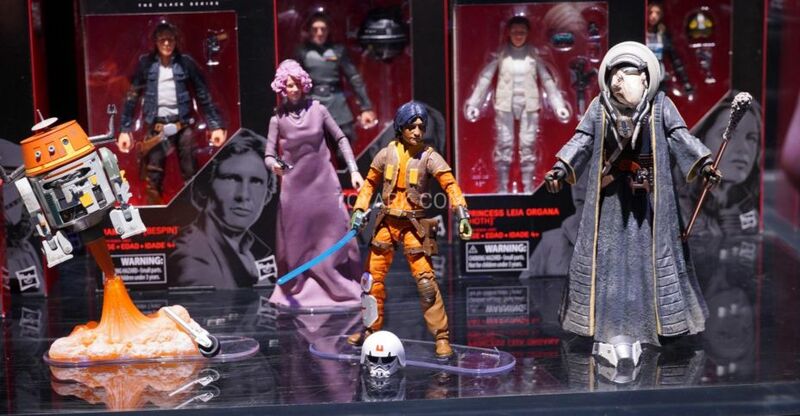 Hasbro sent along the official photos of the figures revealed at their Star Wars panel during San Diego Comic-Con 2018. Included here are new Black Series and Vintage Collection, as well as some new Solo toys. 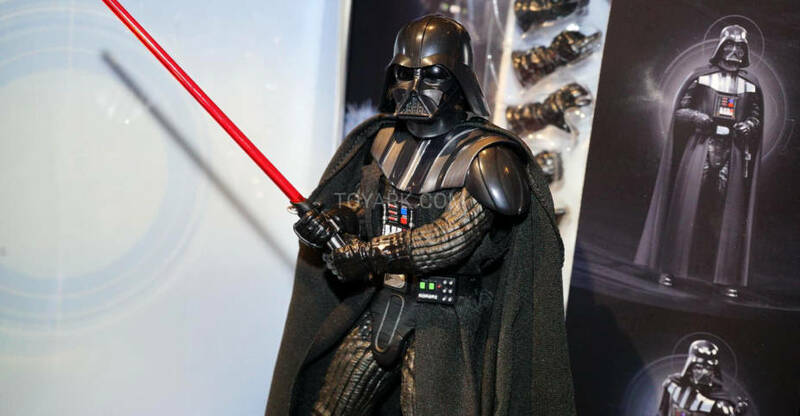 We have a gallery of the new additions to the Star Wars Black Series and 3.75″ scale Vintage Series displays at San Diego Comic-Con 2018. Check out the photos after the jump. Star Wars Rebels is in full swing on Disney XD and Hasbro’s figures are filtering out to market. The fine folks over at Hasbro sent through a sample box with some of the items availble – The Tie Advanced Prototype and two 12 inch Titan figures. We then went and grabbed the Toys R Us revel 3 pack featuring Kanan, Ezra and Holo Kenobi, which has been out for a while now. We were trying for an Inquisitor to match the Tie Advanced, but, he is no where to be found but eBay. :(. Anyway, we ran these Saga Legends figures and vehicles through a photo shoot, so check it out after the break along with some quick thoughts! 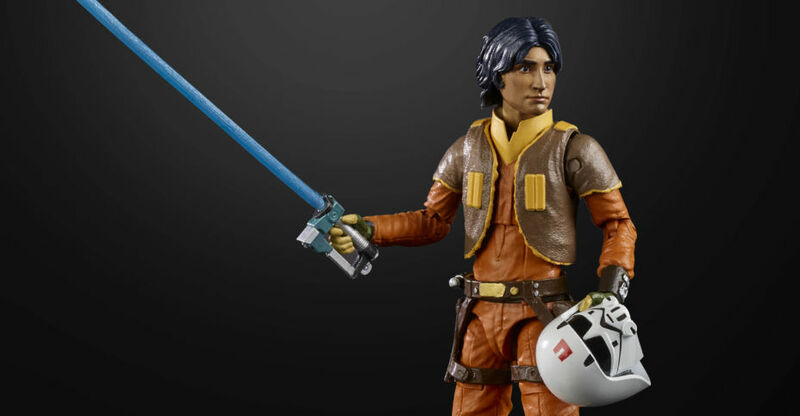 Hasbro has sent out some official images for upcoming waves of Star Wars figures, vehicles and role play items. We’ve seen a few of these in prior updates. Here’s the breakdown of the images. See all of the photos by reading on. Most of these are extremely high resolution images. Open them in a new tab/window or save them to view the full size photos.